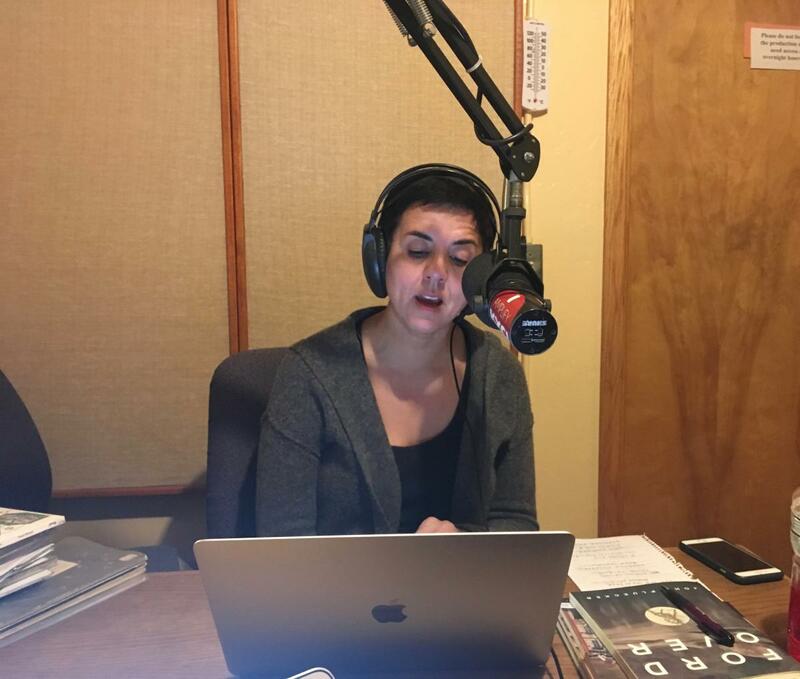 Poet, editor and publisher Carmen Giménez Smith joins us in the KXCI studio to share poems by authors from Noemi Press, including work from a forthcoming book by former Poetry Center literary director, Hannah Ensor. This episode also highlights poems from presenters at the Thinking its Presence: Race + Creative Writing + Art conference, which prompted Giménez Smith’s visit to Tucson. With musical selections from Cass McCombs, PJ Harvey, Lauryn Hill and others. Muriel Leung | “World’s Tiniest Human,” Bone Confetti, Noemi Press, 2016. Manuel Paul López | “10 new superstitions,” These Days of Candy, Noemi Press, 2017. Patricia Spears Jones | “May Perpetual Light Shine,” Poem-a-Day, Academy of American Poets, Oct 17, 2017. Carolina Ebeid | “You Asked Me to Talk About the Interior,” You Asked Me to Talk About the Interior, Noemi Press, 2016. Roberto Tejada |“(Honeycomb perfection of this form before me),” Full Foreground, University of Arizona Press, 2012. John Pluecker | “Tome at Hotel Norte,” Ford Over, Noemi Press, 2016. Hannah Ensor |“Art in a Capitalism,” Love Dream With Television forthcoming from Noemi Press. Natalie Scenters Zapico | “Placement,” The Verging Cities, Center for Literary Publishing, 2015. Vanessa Angélica Villarreal |“Tropical Depression,” Beast Meridian, Noemi Press, 2017. Eunsong Kim| “Regicide,” The Gospel of Regicide, Noemi Press, 2017. TC Tolbert |“Dear Melissa (a gray horse painted),” Entropy, April 25, 2017. Jessica Rae Bergamino | “Occultation Voyager Two at Jupiter,” Unmanned, forthcoming from Noemi Press. Samiya Bashir |“Cannot Cycle,” Poetry, April 2014. Born in New York, poet Carmen Giménez Smith earned a BA in English from San Jose State University and an MFA in creative writing from the University of Iowa. She is the author of six collections of poetry, including Cruel Futures (City Lights, 2018); Milk and Filth (2013), a finalist for the National Book Critics Circle Award; and Goodbye, Flicker (University of Massachusetts Press, 2012), winner of the Juniper Prize for Poetry. She is the author of the memoir Bring Down the Little Birds: On Mothering, Art, Work, and Everything Else (University of Arizona Press, 2010), which received an American Book Award. She also coedited Angels of the Americlypse: New Latin@ Writing (Counterpath Press, 2014). Giménez Smith is chair of the planning committee for CantoMundo and is the publisher of Noemi Press. A professor of English at Virginia Tech she is also a poetry editor of The Nation, with Stephanie Burt.